Click on the Macmillan logo to download details of the programmes, forthcoming events & attractions to be held at the Horizon Centre throughout March 2018. This entry was posted in info on 02/03/2018 by admin. We all like to think of ourselves as good listeners, but do you want to do more to develop our listening skills, so that you can better support people affected by cancer? This workshop will help you to identify the differences between listening and other helping strategies such as providing information and advice as well as developing and practising your listening and responding skills in a supportive environment. This one day introductory public speaking workshop will bring out your natural speaking strengths. Learn to speak with clarity and confidence. Address fears and overcome nerves. Learn how to engage an audience. Use your experience to write a dynamic speech, structuring your content to greatest impact and then deliver a speech with confidence and authority. Dealing with questions during speaking. Applying these skills to next steps in your volunteering or public life. Find a way to enjoy speaking. This one day workshop will help to develop your skills in working with groups in a facilitative style. Create a positive environment for group learning. Identify key skills and qualities of a group facilitator. Enhance communication and influencing skills. Raise awareness of learning styles and the impact of group dynamics. We would like people living with cancer to have a role in shaping the future of Macmillan, this work will help us to understand the best ways of including people living with cancer in the planning, delivery and evaluation of our work in the community. We are engaging people living with cancer in a number of different ways. We are visiting local support groups and asking for opinion and feedback from members during the meeting. We are also carrying out 1 x 1 sessions with people if they are unable to join us in a meeting. Macmillan Cancer Support and Brighton & Hove LGBT Switchboard are working together to engage with the local community to learn about the experiences and needs of LGBTQ people in Brighton and Hove and Sussex who are affected by cancer. This engagement work will be used to inform how LGBTQ people affected by cancer can be best supported; and to identify areas where improvements to patient experience can be made through Macmillan and in collaboration. Switchboard has created two surveys as part of the project and would love to hear from as many people as possible. One is for LBGTQ community members affected by cancer (including partners, carers and family members of people with cancer); the other is for professionals (including volunteers) supporting LGBTQ people affected by cancer. Switchboard is also holding two focus groups to learn more about the experiences of these community members and professionals. Take either of the surveys to receive details of the focus groups, or email chris.brown@switchboard.org.uk. At Macmillan Cancer Support we understand how important it is for people living with cancer to have their views and opinions heard, particularly about their cancer experience. We want to be clear in our commitment to engaging with people living with cancer and their families in their own communities. As a part of this commitment, we are developing a set of community engagement values and principles and we need to ensure that they are meaningful and have people living with cancer at the heart of the process. For us to do this well, we need to really understand how you feel about the values and principles that we’re proposing. We’d really like your feedback on what they mean to you; whether we have missed something important; what it would look like to you when they are working well and anything else you think we need to know. If you would like more information about any of the above please do let me know. This entry was posted in info on 05/02/2018 by admin. 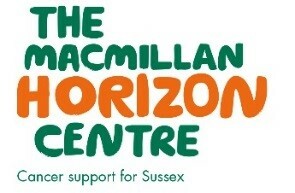 Click on the Macmillan logo to download details of the programmes, forthcoming events & attractions to be held at the Horizon Centre throughout February 2018. This entry was posted in info on 02/02/2018 by admin. David Schneider is terrified of death. In his two editions of One to One, he wants to try to overcome his fear by talking to those who have first-hand understanding of dying. In this programme, he talks to Palliative Care consultant, Kathryn Mannix. 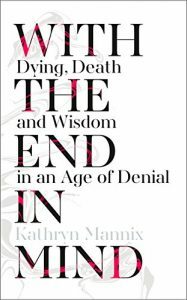 With almost forty years of clinical experience and witnessing over twelve thousand deaths, she believes that a ‘good death’ is possible even when you are seriously ill. She explains the process of dying to David. This, she believes, if accepted by the patient, removes much of the anxiety and fear surrounding the end of life. Jenny Diski, a writer, died in 2016. She was also interviewed a few months before her death by David Schneider about her struggle with cancer and her feelings knowing that death was approaching. To read and hear David’s interview with her please visit this page. This entry was posted in info on 08/01/2018 by admin. (n.b. the above review is by Goodreads – for further information go here. The book is also available in the UK from other on-line sources such as Amazon and stores such as Waterstones). This entry was posted in info on 04/01/2018 by admin. Click on the Macmillan logo to download details of the programmes, forthcoming events & attractions to be held at the Horizon Centre throughout January 2018. This entry was posted in info on 31/12/2017 by admin. Click on the Macmillan logo to download details of the programmes, forthcoming events & attractions to be held at the Horizon Centre throughout December 2017. This entry was posted in info on 12/12/2017 by admin. 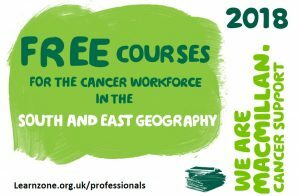 Click on the Macmillan logo to download details of the programmes, forthcoming events & attractions to be held at the Horizon Centre throughout November 2017. This entry was posted in info on 10/11/2017 by admin.